It's been quite an offseason so far for Adrian Gonzalez. 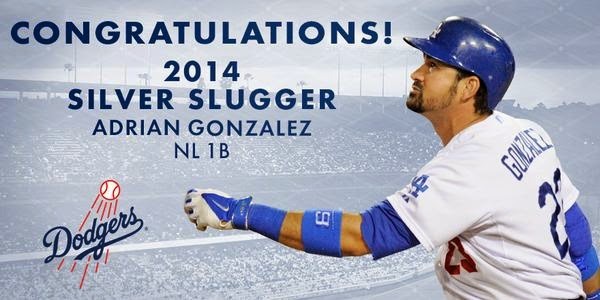 Just days after winning his fourth Rawlings Gold Glove, a second National Sports Award from Mexico and a Wilson Defensive Player of the Year honor, Adrian Gonzalez has been named the Louisville Silver Slugger award winner for first baseman in the National League. A complete list of winners can be seen here. "I'm excited to win the Silver Slugger Award, especially with so many deserving first basemen in the National League this year," said Gonzalez. "I'm grateful for the consideration and votes for this prestigious honor." Of note, Gonzalez edged out several other worthy first baseman; including Cubs sensation Anthony Rizzo. In fact, Rizzo had bested Gonzalez in just about every offensive category (home runs, runs, batting average, on-base %, slugging % and WAR) except for RBI's. Adrian drove in a Major League leading 116 runs over Rizzo's 78. Selections were based on a combination of offensive statistics, including batting average, on-base percentage and slugging percentage, as well as the managers’ and coaches’ general impressions of a player’s overall offensive value (emphasis mine). Managers and coaches were not allowed to vote for players on their own teams. Dodgertown was the spring training facility of the Brooklyn/Los Angeles Dodgers. 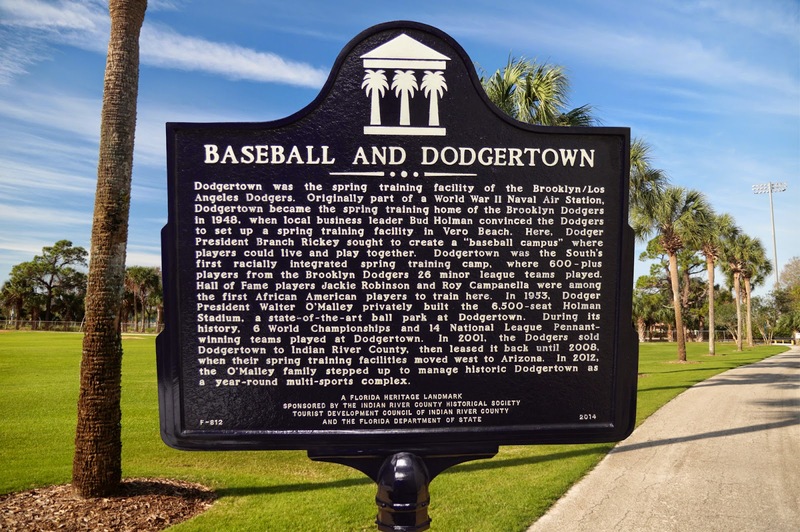 Originally part of a World War II Naval Air Station, Dodgertown became the spring training home of the Brooklyn Dodgers in 1948, when local business leader Bud Holman convinced the Dodgers to set up a spring training facility in Vero Beach. Here, Dodger President Branch Rickey sought to create a "baseball campus" where players could live and play together. Dodgertown was the South's first racially integrated spring training camp, where 600-plus players from the Brooklyn Dodgers 26 minor league teams played. Hall of Famer players Jackie Robinson and Roy Campanella were among the first African American players to train here. In 1953, Dodger President Walter O'Malley privately built the 6,500-seat Holman Stadium, a state-of-the-art ball park at Dodgertown. During its history, 6 World Championships and 14 National League Pennant-winning teams played at Dodgertown. In 2001, the Dodgers sold Dodgertown to Indian River County, then leased it back until 2008, when their spring training facilities moves west to Arizona. In 2012, the O'Malley family stepped up to manage historic Dodgertown as a year-round multi-sport complex. For anyone who has ever visited Dodgertown you know how incredible the place is. It's a quaint little baseball hamlet surrounded by palm trees and ball fields more reminiscent of a small town little league park rather than a Major League facility. It's that kind of charm that endeared fans to Dodgertown, and transformed the former Naval Station into a must visit Baseball mecca. Over my life I've had an opportunity to visit during spring training on four different occasions and each time was an absolute blast. There was no place better to chat it up with other fans, and no facility provided fans the kind of closeness it allowed to the players. I still think back about how uniquely wonderful Dodgertown was, and feel bad that Dodger fans today will never have an opportunity to experience it. Participating in the ceremonies at noon are Hall of Fame Dodger Manager Tommy Lasorda, as well as O’Malley and other Dodger legends, who are serving as instructors at the 53rd Los Angeles Dodgers Adult Baseball Camp from November 9-15 at Historic Dodgertown. Instructors include Ron Cey, Tommy Davis, Steve Garvey, Mickey Hatcher, Ken Landreaux, Rick Monday, Jerry Reuss, Maury Wills and Steve Yeager. Lasorda and former National League umpire Bruce Froemming will be guest instructors. Former Dodger scout Guy Wellman serves as the camp coordinator as he has since the first camp in 1983. Here is something I did not know about Dodgertown. Walter O'Malley built a golf course in Dodgertown called Dodgertown Golf Club and it was the first integrated golf course in Vero Beach. O'Malley had wanted his African-American ballplayers to have an opportunity to enjoy the game, since they couldn't anywhere else. Check out the Historic Dodgertown website here for information about the facility. Today, it is a year-round, multi-sport training site and conference center for all manner of sport. You can also check out a bunch of photos from my past Dodgertown spring training adventures here. The photo at the very top courtesy of Historic Dodgertown – Vero Beach, Fla. 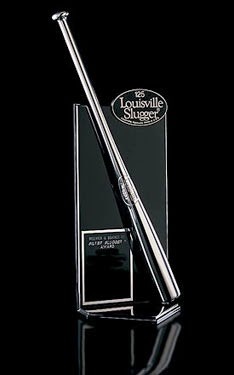 This might be the coolest looking award in all of Baseball. Just look at it (photo on the right). It's a big brass looking sculpture of the great Warren Spahn in the midst of delivering one of his nasty fastballs. That image is glorious, and this trophy couldn't have gone to a more deserving lefty. This is the second consecutive time he has been given this award, and the third time over the past four years. 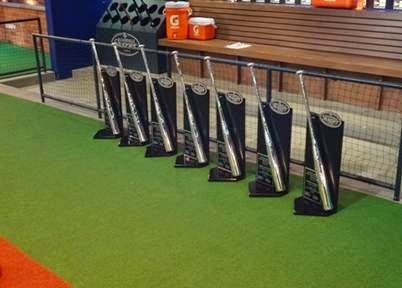 Wow, Kershaw will now have three of these trophies on his shelf. The reception for the awards gala will be in January at the Oklahoma Sports Hall of Fame & Jim Thorpe Museum. Go here for more information. Photo at the very top via Jon SooHoo/LA Dodgers 2014. 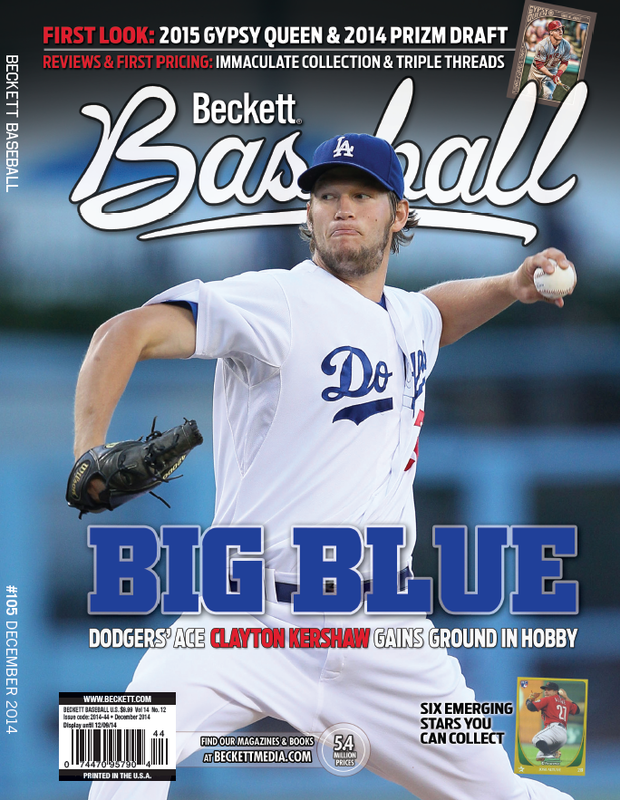 Clayton Kershaw will be on the cover of the December 2014 issue of Beckett Baseball magazine, pic above via Chris Olds at Beckett.com. 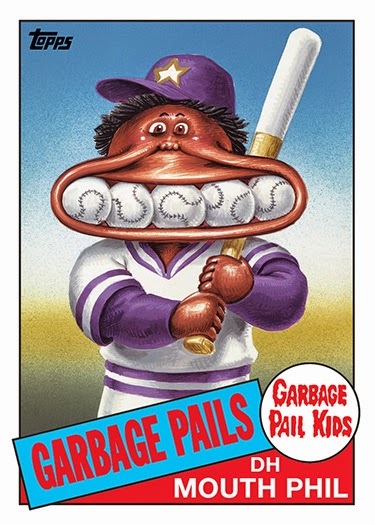 Also at the link to the left, Chris Olds puts together his list of the Top-5 Kershaw cards to own. Via Jon Weisman at Dodger Insider, "Gonzalez, Uribe win Wilson Defensive Player of the Year honors." Congrats to Uribe. He deserves the recognition. Mark Saxon at ESPN writes, "How one subtlety could seal A.J. Ellis' fate," and I do not agree with the assessment. I think it's far too simplistic to believe one skill (pitch-framing) will be the ultimate bellwether for determining Ellis' role or any catchers role with the club. Certainly, he hasn't been great at it, but I do not feel that it alone will put him in the doghouse. It's a series of skills behind the dish that determines if a catcher is effective. With Ellis, I believe he excels in other aspects of the game. His leadership with the staff, pregame preparation, quarterbacking on the field and pitch-calling are just as important, if not more so, than framing. Via Eric Stephen at True Blue LA, "Dodgers 2015 arbitration projections, Andrew Friedman & 'file and trial.'" Earlier today, the #Padres granted permission to the #Dodgers to interview scouting director Billy Gasparino. Interview could come fast. 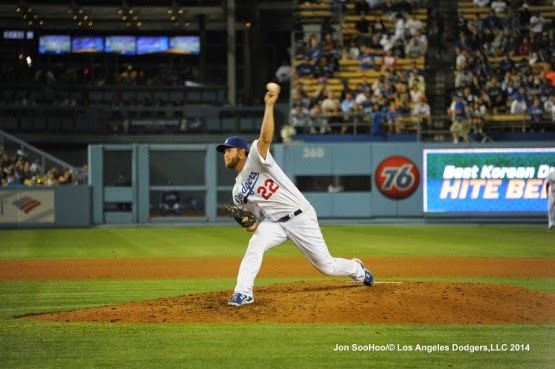 Dustin Nosler at Dodgers Digests takes a closer look at Billy Gasparino. Twitter/social media is so stupid sometimes. Former Dodger Ryan Theriot said a mean thing about 'Moneyball' and the Dodgers recently hiring Zaidi, so the stat-heads on twitter ran for their pitchforks. I'm left to wonder, what the heck is wrong with everyone? Via Craig Durham at MLB.com, "Rays, Dodgers prospects make splash Down Under." Also among the standout performers for Adelaide in the opening weekend were Dodgers prospects Brandon Dixon and Aaron Miller. Dixon, a 22-year-old second baseman from Murrieta, Calif., finished his first weekend of ABL play with five hits, three RBIs and a pair of stolen bases. Miller, a 27-year-old pitcher-turned-outfielder, went 6-for-19 with a home run, four RBIs and two steals. The pair were teammates this past season, playing for the Class A Rancho Cucamonga Quakes of the California League, where they combined for 23 home runs and 106 RBIs. A very good read. Via Ken Arneson, "10 Things I Believe About Baseball Without Evidence." This is the greatest idea ever! 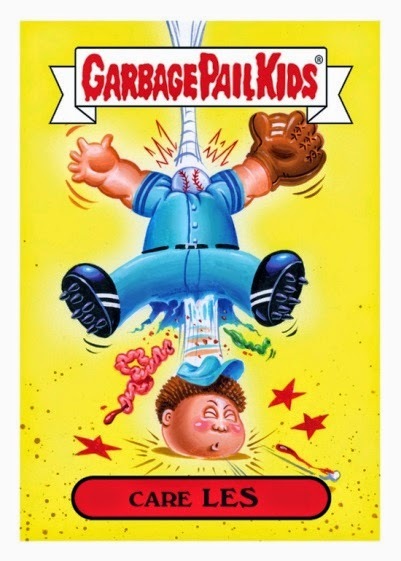 Via Chris Olds at Beckett, "Topps adds baseball twist to Garbage Pail Kids."